With Bulgaria in my heart is an educational system developed according to the National Bulgarian Language and Literature Curriculum for first, second, third and fourth grade and approved by the Ministry of Education and Science with Decree № 09-1034/19.08.2013. 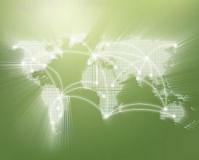 The system is adapted to the shorter horarium of Bulgarian educational institutions abroad. A list with the topics to be covered in class as well as the suggested amount of time to be spent on each of them can be found at the end of each textbook. The feeling of carrying Bulgaria in one’s heart, the warmth of the motherland one yearns for, the sense of belonging to a community and the self-confidence this sense creates and nurtures: those are the benefits offered to the Bulgarian children abroad by the centers, schools, local communities and organizations that provide Bulgarian language and culture education. 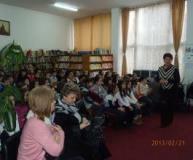 On February 21, 2013 Daniela Ubenova Publishing visited the ‘Geo Milev’ Regional Library in Montana. In the morning the third and fourth-graders from 7th school “Prof. Dr. Asen Zlatarov” participated in a literary panel where Natalia Ognyanova, one of our authors in the sphere of Bulgarian language and literature, entertained them with poems yet to be published and stories from her childhood, and answered the children’s witty questions. The new set of workbooks BRAVO! 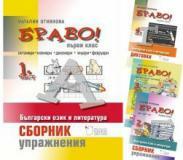 enables students to put to practice their knowledge of Bulgarian language and literature. Natalia Ognyanova, the author of the series, created it upon request by primary teachers. BRAVO! for first, second and third grade is already published and we are currently hard at work to bring to life the BRAVO! workbooks for fourth grade. Stay tuned! 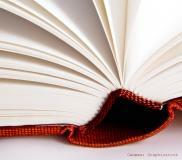 In its mission to promote reading, preserve the Bulgarian language and culture and contribute to the intellectual development of the Bulgarian people, Daniela Ubenova Publishing works with libraries from all around the country. We offer libraries and community centers in Bulgaria a strategic partnership to aid the process of renewing their book stocks. In order to assist the effective work in that direction, we provide a list of our products and information about placing orders. For the first time in Bulgaria, Daniela Ubenova Publishing published simultaneously 20 volumes containing 24 of the works of the writer Peter Konstantinov, a winner of the Dimitar Dimov Literature Award in 2006. His writing is characterized by a profound interest in the spiritual lives of people throughout different historical periods. The works of Peter Konstantinov have been translated in English, Polish, Russian and Swedish. Russia, NATO and the Security Environment after the Cold War 1989–1999 is the first book in Bulgaria to explore the uneasy relationship between NATO and the Russian Federation in the 1990s. The publication analyses fundamental changes in the international system and their implications for international security and international legal regimes in Europe, including the Balkans.